Jute is a natural intervention which occurs without exaggeration or any special effort. It is perfect for making environmental shopping bags. It is one of the most inexpensive fibers that is biodegradable and environmentally friendly. This gives a rich and naturally golden color to it and is also known to be “The Golden Fibre”. This is more popularized amongst the consumers for carrying heavy and bulky items such as bags and rugs. Jute is most commonly used to make consumer goods such as bags and rugs. The types of jute used to make goods are purchased in several grades as well as blends of jute and other fibers. Tossa raw jute and white raw jute are grown in the lands of India where the climatic condition is suitable. This type of Jute is most commonly found everywhere. Tossa raw jute has a silkier texture and has more strength than white raw jute; because of its extra strong character, it is also used to make environmental shopping bags and gunny sacks and clothing. Mesta is a combination of both Mesta plant and raw white jute. It is categorized into many different parts such as Mesta top, Mesta mid and Mesta bottom. This kind of Jute has a class in itself and is classified differently than raw white jute and tossa raw jute. Since 1947, Mesta has become more important part and has contributed towards many jute bag company. The reason being it is capable enough to grow in the areas where the climate is not appropriate for raw white or tossa jute. Originated in the lands of poorer regions of India, White raw jute developed centuries ago was earlier used to make clothing for farmers and villagers. The reason it got its name as “Bangla White” because this was mostly utilized for personal and industrial use. We grade the Bangla white jute in a various category such as A, B, C, D and R. It has various uses in itself such as for making yarn, twine, and rope. The grades of this type of jute are Bangla white A, B, C, D, and R.
Jute Cuttings are believed to be the lowest group of jute. We harvest many different products and use the leftover jute of other grades to make cuttings. It can also be a mixture of the leftovers. 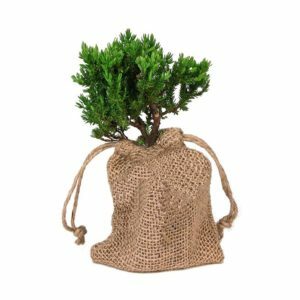 Many Jute Bag company use these cuttings to manufacture other products such as paper products, bags, rope, eco-friendly products, and many other jute products.